It’s no real secret that Amazon.com, Inc. (NASDAQ:AMZN) has been disruptive to a variety of industries. It’s been a growing thorn in the side of Wal-Mart Stores Inc (NYSE:WMT) for a couple of decades now, but even specialty retailers like office supply chain Staples, Inc. (NASDAQ:SPLS) have felt the adverse impact of what happens when Amazon decides to focus in on a specific sliver of a market. There’s one arena owners of AMZN stock haven’t seen the company tiptoe into yet — pharmaceuticals. That is, they haven’t seen it until now. It was reported earlier this week that the e-commerce giant is looking to hire someone qualified to head up Amazon’s entry into the drug dispensing business where it could compete head-on with pharmacies like Walgreens Boots Alliance Inc (NASDAQ:WBA), and make waves for pharmacy benefits managers like Express Scripts Holding Company (NASDAQ:ESRX). It’s not the first time the prospect of Amazon’s entry into pharma has been raised, but it’s the most serious the talks have ever been. The prod for the decision isn’t a difficult one to believe: Costs of healthcare, drugs in particular, have skyrocketed in recent years; and if anything, drug pricing and insurance coverage plans have become even less transparent. Amazon arguably feels it can do for drugs what it’s done for so many other categories of consumer products by cutting out the bulk of the markup that would normally go to the retailer. That’s because Amazon is usually willing to accept lower margins, since its sheer size/scale allow it to operate more cost-efficiently. 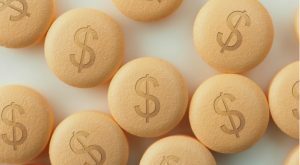 The part AMZN stock holders like: United States consumers spend on the order of $300 billion per year on prescription drugs. If Amazon plays its cards right, GoodRx founder Stephen Buck believes Amazon could capture between $25 billion and $50 billion worth of that business per year. It won’t be easy getting into the business. Aside from being a whole new arm, pharmaceuticals are highly regulated. Building a digital prescription framework is not only a logistical nightmare, but physicians may be leery of using such a platform. In fact, Amazon has tried it before. Back in 1998, shortly after AMZN stock became a publicly traded equity, Amazon acquired Drugstore.com. It operated the online pharmacy for more than a decade, never achieving the growth it expected from the venue. Amazon eventually sold Drugstore.com to Walgreens in 2011, which finally shut the website down last year. There are differences this time, however. This time, insurers may be even more supportive of lower-priced alternatives to traditional brick-and-mortar pharmacies. Another difference is that Amazon.com has already ventured into the medical supplies and equipment business. The leap to drugs wouldn’t be a great one now. Amazon CEO Jeff Bezos is never short of ideas. Some of them are ill-advised, like using aerial drones to deliver packages — one unfortunate mishap over a busy road could prove fatal. Other ideas are brilliant, such as the establishment of a network of brick-and-mortar stores. The stores wouldn’t have to be a profit center in and of themselves. They would be outstanding branding and messaging tools, facilitating the sale of digital goods while also serving as a pickup point for orders of physical goods. As bold as the ambition might be, the entry into the pharmaceutical business is one of many ideas current and prospective owners of AMZN stock will want to add to the “smart” column. There’s actually some money to be made in the business, which is something the company can’t say about all of its services and products. Better yet, with the addition of prescription to its other recently unveiled offers like groceries and fashion advice, Amazon further cements itself as a lifestyle company … as opposed to a mere e-commerce venue. Article printed from InvestorPlace Media, https://investorplace.com/2017/05/the-next-big-amazon-com-inc-amzn-stock-catalyst/.